« How Could I Not Be Aware? This Mother’s Day, I’m thinking of those who are unable to celebrate. Those who never had a mom to begin with, even if technically, there was a mother in the house. In my novel, How Wendy Redbird Dancing Survived the Dark Ages of Nought, Sunny Revere is not a good mom. She is a classic narcissist, obsessed with finding and keeping boyfriends. And there are many–a “revolving door,” as her daughter describes it. Also top of Sunny’s list is the pursuit of her own happiness–political dreams and artistic interests. In between, if her daughter happens to cross her path, Sunny will occasionally parent. She thinks she’s a great mom because she strives to be Wendy’s BFF. At 16, Wendy is well aware of these stark facts. She has accepted and so far, survived her mother’s weaknesses with a certain amount of stoicism. She says, “With Sunny it’s best to sift out troubling information, as she’s flummoxed by most facts. Facts require decisions, and Sunny’s best at dithering.” Sunny has spent a lifetime flitting from one location and job and boyfriend to another, dragging Wendy along, and never facing the black-and-white truth of parenting: sometimes, you have to put yourself last. Wendy’s built the necessary walls to handle the perpetual transitions. But the one thing Wendy finds she can’t face so easily is abuse at the hands of her mother’s boyfriends. She will spend a lifetime overcoming these traumas. “My mom forgot to get me a birthday cake.” “My mom didn’t show up for the one award I got in middle school.” “My mom pretended the abuse wasn’t happening.” Over the years, I’ve heard such stories from students or friends, or I’ve seen them happen without the person complaining. It was just assumed Mom had too many things to do, or that she had a date, or that the house is always a little bit crazy or chaotic whenever mom is there. Those who grow up with a non-mother can turn out to be many things. They might be resilient, persisting no matter what life hands them. They may be possessed by their own victimhood, demanding much from a world they feel owes them something. They may be hardened, even flat-lining, or addicts, liars, and cheaters. They may be loving and embracing caretakers, giving relentlessly to others, swearing to never inflict on others what they suffered. They can be so busy trying to prove they are worthy that they achieve great success. However they evolve, the mark of the bad mother stays with them. All I know is, I am so loved I can’t measure it. I am able to write today because you always gave me hope and space as a child to l et creativity flourish. You gifted me with trust that my ideas matter. 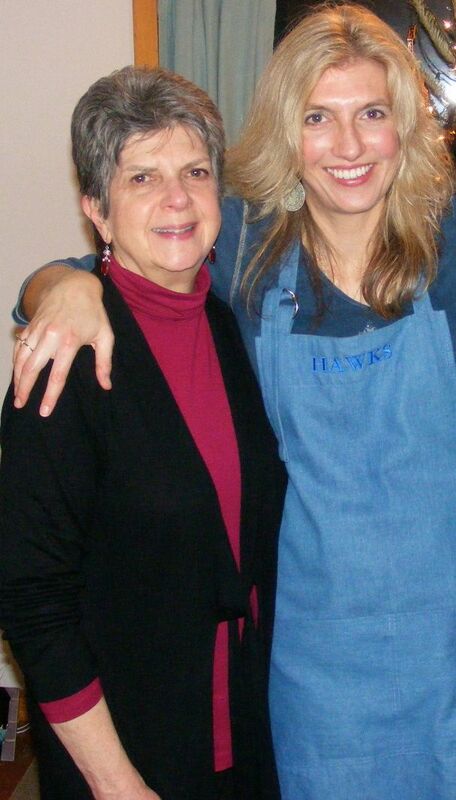 My mother, Katherine Fairchild, is a loving, brilliant, and beautiful woman. She is incredibly selfless, having sacrificed herself for me countless times. My accomplishments, my hopes, my joys, and my sorrows have always been of great interest to her. She is delighted for me, concerned for me, and willing to listen endlessly. She is happy to spend time with me, anytime. She has never been one to ask, “But what about me?” Unconditional love is my mother’s specialty. I credit her with being the mother of my inventions. Now she is gradually doing more and more for herself. We call her the best writer in the family and celebrate her occasional focus on herself. She recently published a story called “Sunday at Aunt Seri’s,” a vignette from her childhood that captures the beauty and strangeness of a visit to an aunt’s hardscrabble farm where turkeys swarm her like oncoming and relentless waves. My mother is gifted at capturing images and moods, and her characters are authentic. She has also crafted several stories where oddball characters muddle their way through life in great seriousness that turns slapstick. For someone who never has said, “I deserve,” my mother deserves far more than she’s ever given herself. I hope this Mother’s Day weekend she will take a note from her daughter who has been allowed to grow up self-directed and self-confident, without someone else’s black hole of neediness interrupting her development. In other words, I want my mother to give herself the same attention she always gave me. Meanwhile, I have a role model who inspires me to ask how I can be less self-focused and more selfless. Not everyone gets a mom like mine. Today, I celebrate Katherine Fairchild and the blessing I have in her. I also celebrate those who have overcome their mothers with grace and courage. What is a line your mother often said to you, and when would she say it? Why do you think you remember it now? How much are you like and unlike your mother? Have you been blessed by a good mother, or challenged by a non-mother? Have you survived a bad mother? How do you know what good motherhood is? What are your maternal instincts, and how do you pursue them? In How Wendy Redbird Dancing Survived the Dark Ages of Nought, Sunny yells at Wendy, “No one gives a damn how I feel!” Should mothers say this, and if so, when? If not, why not? Why does Sunny Revere say this? How does Sunny’s mother and Wendy’s grandmother, Virginia, relate to Sunny? How does their relationship explain some of how Sunny turned out? How does Virginia relate to Wendy? How can grandmothers be better and worse at motherhood, when it comes to their grandchildren?